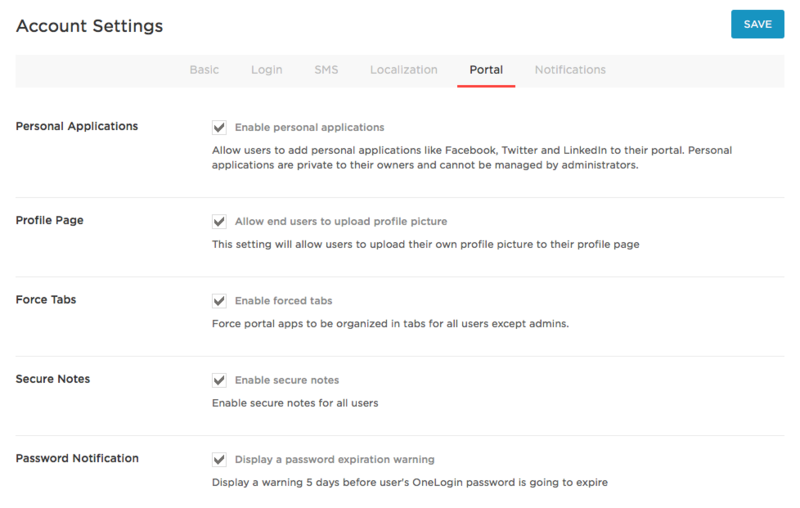 Add and configure application integrations to make the apps available for your users to access through SSO. You add apps on the Apps > Add Apps page. You can also configure many apps for user provisioning, if your account subscription allows it. Manage all of your account’s applications from the Apps > Company Apps page. View the entire list of applications that your company provides for its users, and configure each app just by selecting it from the list. Give your users access to apps, either individually or through Roles. Delegate app-specific administration rights to other users through the Manage application privilege. The Manage application privilege enables users to configure and maintain app integrations, but does not allow users to add or delete apps. To add an app to your company app catalog, simply go to Apps > Add Apps and search for the app you want to add. Click the app row to open the app configuration page. Click Save. The app is now added to your company app catalog. You need to configure it and give users access to it. Your dashboard for app management is the Apps > Company Apps page. Click any app row to configure the app. If you have the Account owner or Super user privilege, you'll see all of the apps in your company catalog. If you have the Manage application privilege, you'll only see the apps you've been granted access to manage. Organize your company applications into tabs and add apps to each tab. Tabs are conveniently listed under the Company tab. The company tab is editable and can be renamed to reflect the nature of your organization. To assign apps to a tab go to Apps > Manage Tabs. Click New Tab to create a new tab. Name the tab. Click on the apps you want to associate with the tab in Select Applications for This Tab. There are two ways to make tabs visible in the portal. Users can enable tabs in their Profile. Go to Profile > Preferences > Display My Apps and select In Tabs. Note: A Tab isn't displayed if the app associated with the tab is unavailable to the user. Admins can globally force the tab to display for all users. Sign in to OneLogin as Admin. Go to Settings > Account Settings > Portal Tab. The Everything tab is listed first for users, followed by the tabs defined by the admin in Manage Tabs. Users can select a specific admin-defined tab in Profile > Preferences > Default Company Tab for their default tab. 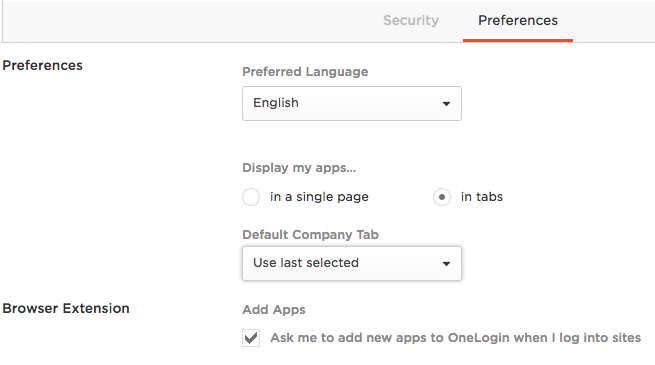 To configure an application (set up SSO, assign users, add security policies, enable provisioning, set display preferences) just click the app on the Company Apps page to launch the app configuration page. The configuration interface is not the same for every app. Apps that use form-based authentication are all configured essentially the same way. For details, see Adding a Form-based Application. 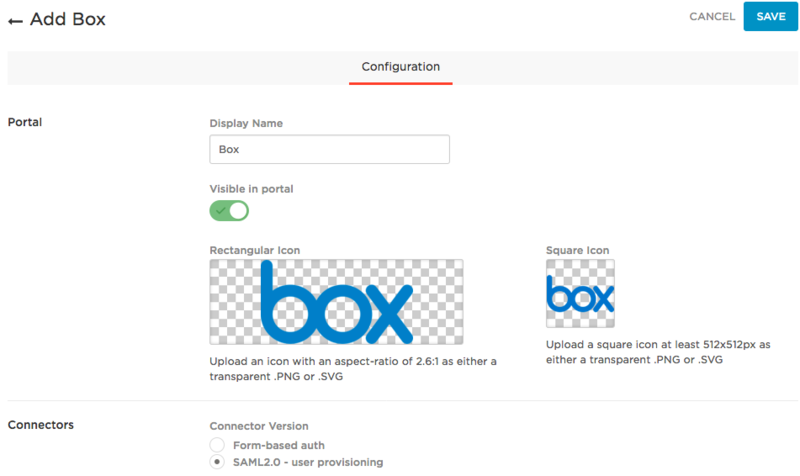 Configuration for SAML-enabled apps and provisioning-enabled apps can vary quite a bit. See the app-specific configuration instructions in the App Integration section of the support site for the apps you want to configure. The most efficient way to assign applications to users is to create Roles, which are buckets of apps that an identifiable group of users (the Sales department, for example) all need access to, and then assign users to those Roles. You can also assign users manually to applications on the Applications tab of the user details page (Users > All Users > select user). You can delegate app-specific administration rights to other users through the Manage application privilege. Configure and maintain app integrations, including display name and icon, SAML SSO integration, security polices, and provisioning integration. Assign users to the app, but only if they also have the Manage users privilege. See the Apps menu in their menu bar, containing only the Company Apps menu item. Their Company Apps dashboard displays only the the apps for which they've been assigned the Manage application privilege. The Manage application privilege does not allow users to add or delete apps. Nor does it enable users to give other users the Manage application privilege. 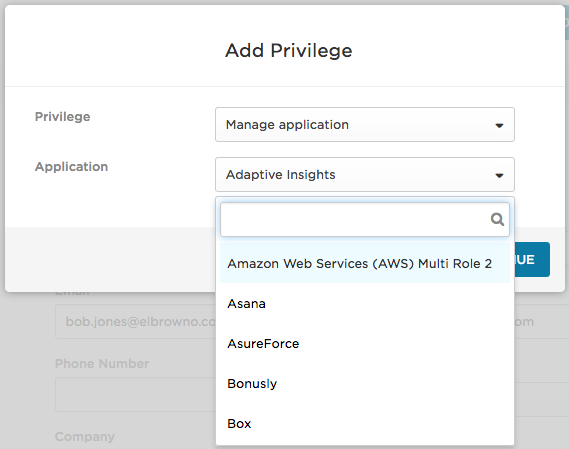 On the User Info tab, scroll down to the Privileges section, click the + plus sign to open the Add Privilege dialog, and select Manage application. This will trigger the dialog to display the Application drop-down. From the Application drop-down, select the application you want the user to manage. If you want to assign more than one app for the user to manage, you must add a separate Manage application privilege for each application. On the Company Apps page, click the app you want the user to manage. Go to the Privileges tab and search for the user. In the search results, click Add Admin next to the user that you want. After you click Add Admin, the user appears in the list of App Admins.